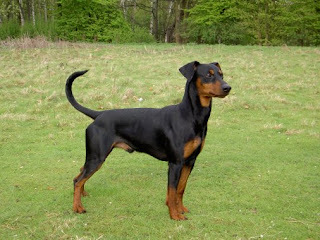 The German Pinscher was initially named Deutscher Pinscher and it is a dog of medium size having emerged in Germany. It is an ideal dog having a great sense of humor, courage, not nauseated, and great stamina. It is a robust dog and an all-rounder. It is a rare breed but is becoming popular because of its acceptance to AKC in 2003.